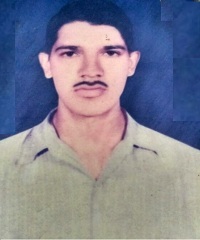 Sepoy Baini Prasad Sharma hailed from Bhekhli Village of Kullu district in Himachal Pradesh. He did his preliminary education in his native place. Sepoy Baini Prasad Sharma had an immense sense of patriotism since his childhood. As soon as he completed his education he joined the army along with his elder brother Shri Gyan Chand Sharma. Sepoy Baini Prasad Sharma was inducted into 13 Dogra of the Dogra Regiment. During 1971, Sepoy Baini Prasad Sharma’s unit of Dogra Regiment was deployed into which is Siramani located in Bangladesh. On 16th Dec 1971, in battle of Siramani 13 Dogra crushed a battalion of 15 Frontier Force Rifles of Pakistani army which led to the surrender of Khulna garrsion. They captured 4 Pakistani officers, one JCO and 18 other ranks while one officer, 70 other ranks of the enemy were killed. However, 13 Dogra also lost 2 officers and 15 other ranks while 3 JCOs and 44 other ranks got wounded. Sepoy Baini Prasad Sharma was also among them who laid down their life in this conquest. For their act of bravery and heroism 13 Dogra was awarded with the “Battle Honour Siramani”. 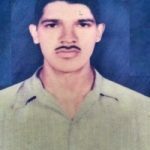 Sepoy Baini Prasad Sharma made supreme sacrifice in the finest tradition of Indian army.